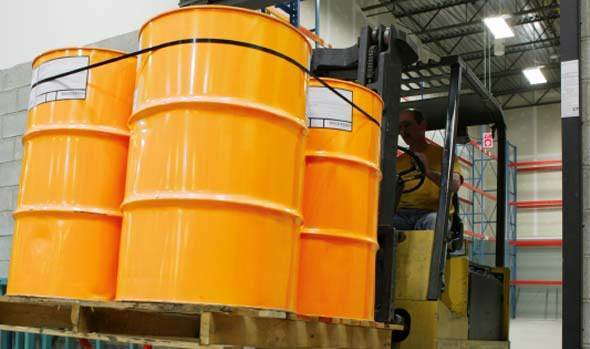 Hazardous goods can present significant dangers, especially when transportation is involved. Due to this we now ensure that all of our drivers are fully ADR trained and receive constant advice and updates from our designated Dangerous Goods Safety Advisor. This means we are able to provide a complete service for the transportation and distribution of nearly all hazchem or dangerous materials. Due to the highly regulative and competitive nature of this field our customers can be sure of a maintained professional service and the safe arrival of their products. To maintain this our safety equipment is regularly inspected and replaced, and our drivers re-trained. Couple this with our usual timely distribution and trackability and you have an almost unbeatable service.